I am in full Thanksgiving mode! 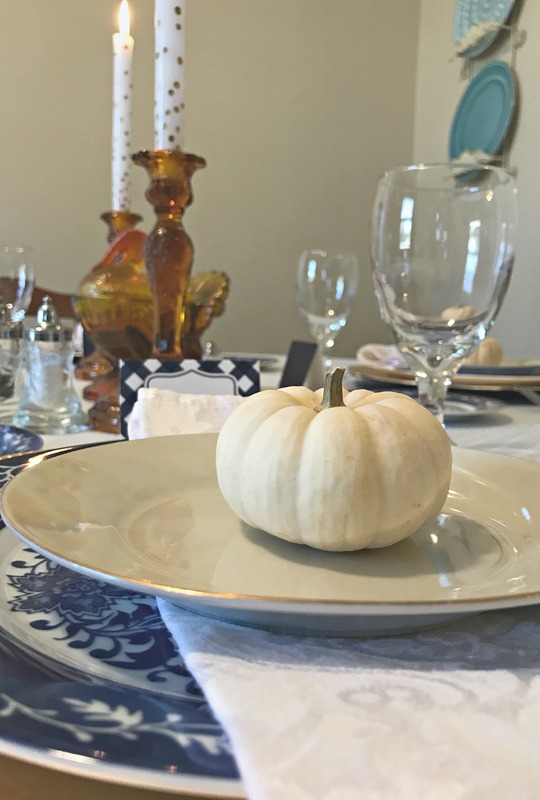 As I mentioned in my Thanksgiving planning posts, I always give my table settings a practice run before a big party or holiday. I’m not naturally creative, but I enjoy gathering inspiration and trying to make my tables look beautiful! 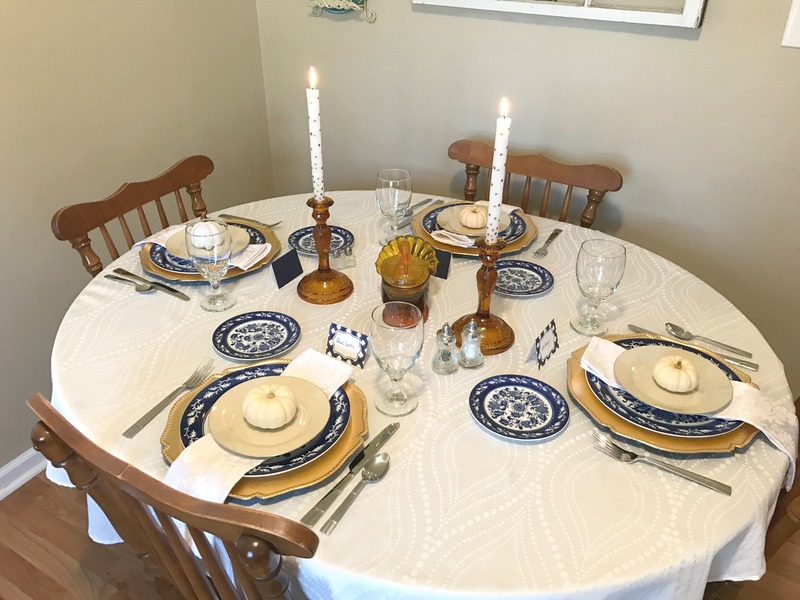 This year I wanted to use a new set of blue and white dishes my mom gave me. 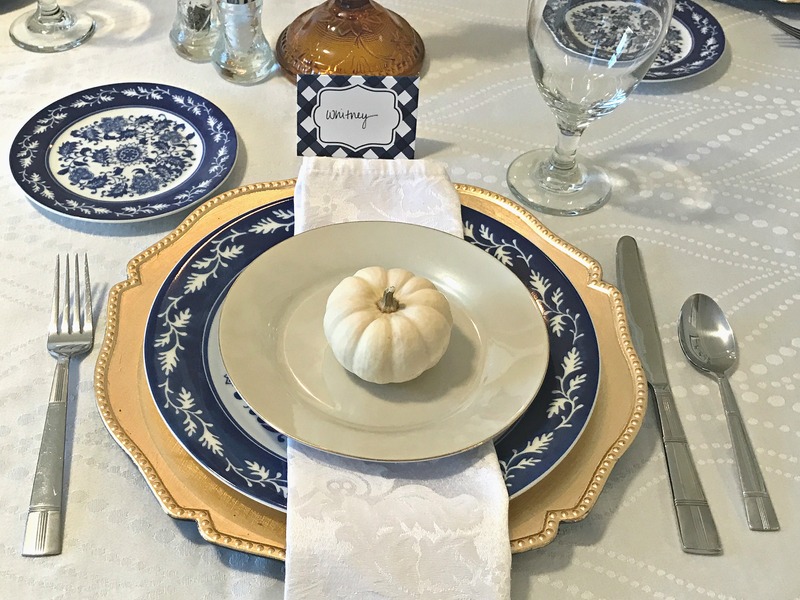 I combined that with an instagram picture I saw during Canadian Thanksgiving and arrived at what I think is an elegant twist on a traditional Thanksgiving table! They create a beautiful canvas for your accent pieces! I love how my Mom sets up her kitchen counter for the holiday meals (check out her gorgeous buffet from a few years ago here). 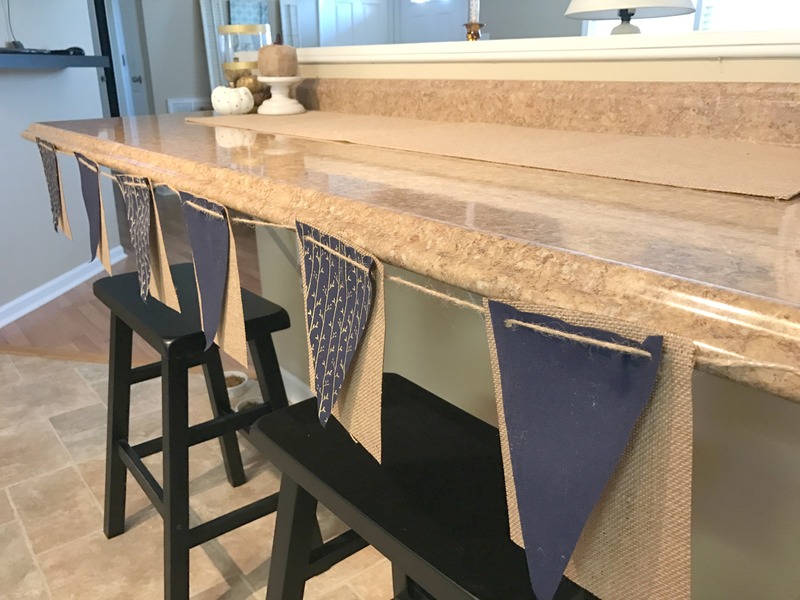 I tried to embellish my bar counter so that it’s not just a long line of bowls and platters. 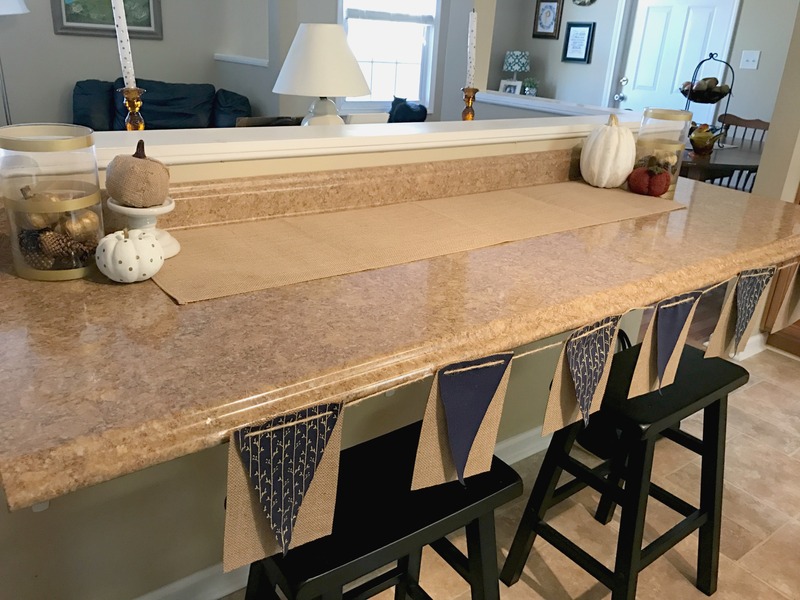 Here’s what I’m planning to set up on Thanksgiving Day – I’ll have everyone fill their plates at this counter and then set up a drink station by the fridge. I wish I could leave that banner up all month, but we do sit at the counter every day. 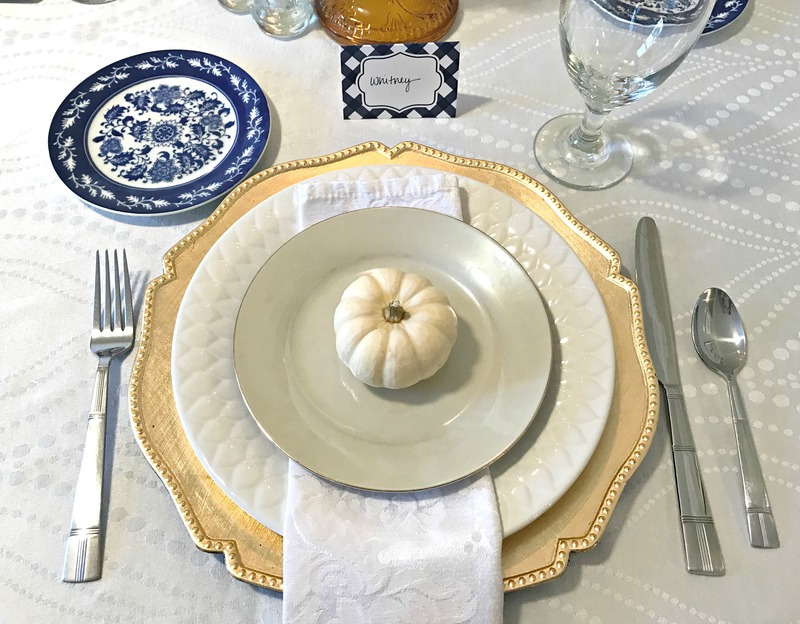 🙂 If you’d like to see another look at my Thanksgiving table, watch the video below! Can I come for dinner? I just want to be in your home — full of love and friendship! 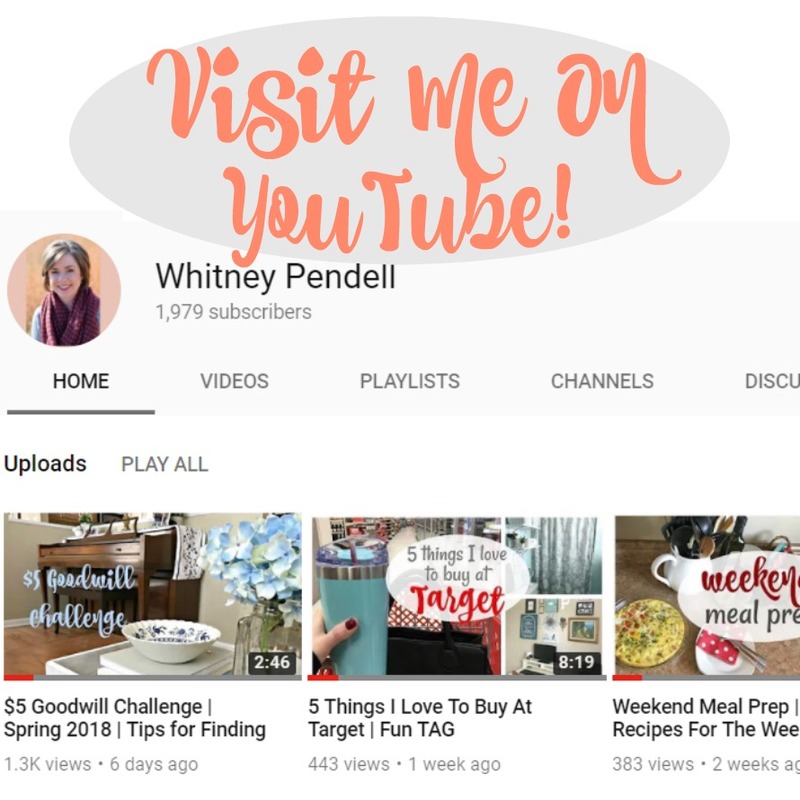 I love winter dishes – that sounds lovely! Beautiful!! I think I like mixing and matching dishes better than just using one complete set. The variety makes the table interesting and beautiful. 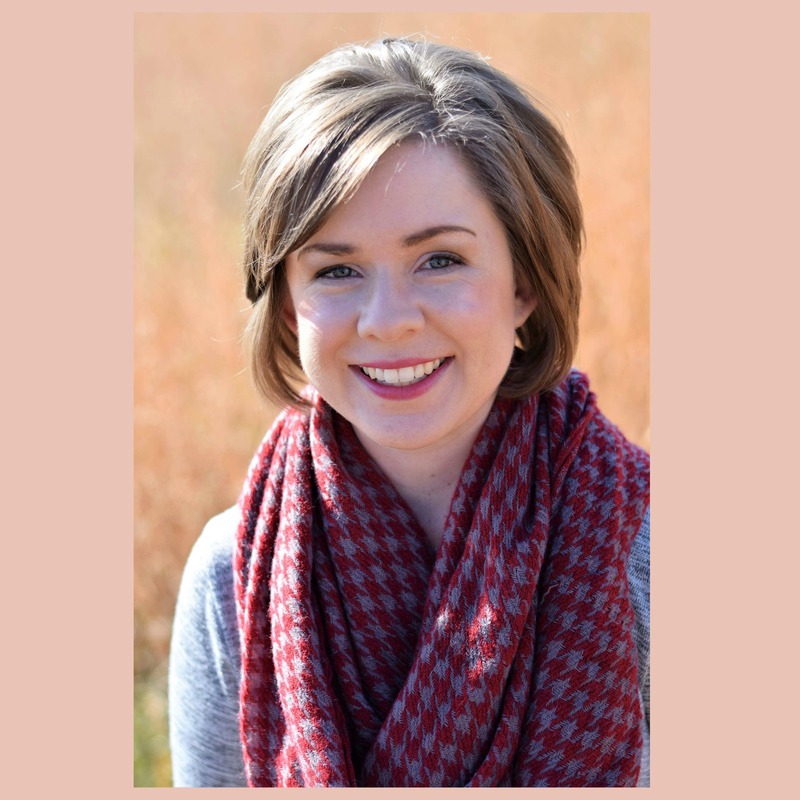 I’m LOVING your polka-dot candles – where did you find them? I rarely burn candles, but I love to decorate with them. I misplaced some of my candles in the move so I’m on the hunt for a few new ones for my Thanksgiving table. I agree – I love mixing dishes on the table. My candles are from Hobby Lobby. They were very inexpensive, I think less than $3 for the set of 2. This is gorgeous! Love the color combination…and I should have bought you a set for 8! Thank you! No, 4 plates are plenty – I will mix them with the white plates and it will look really cute. So pretty! 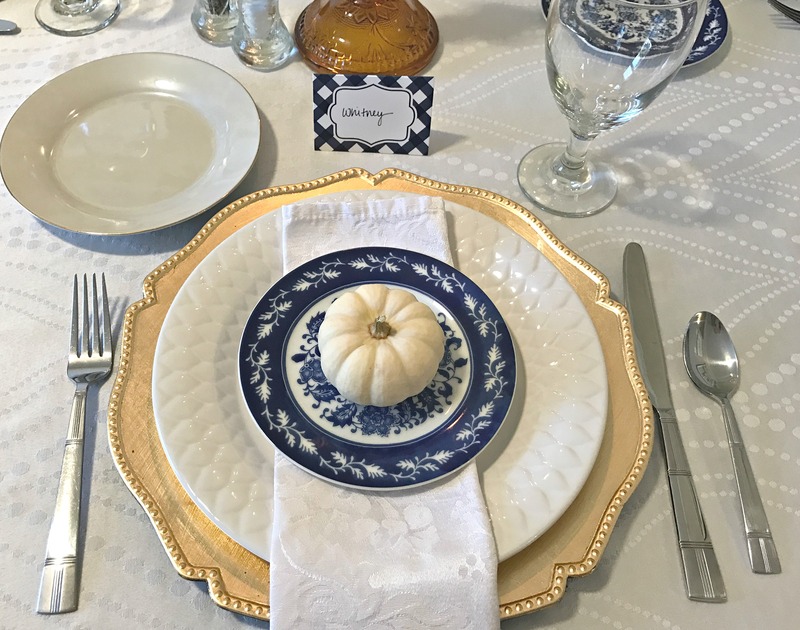 I love the blue and white plates! And the amber candle holders. Cloth napkins are on my list of items I need to invest in! Thank you! 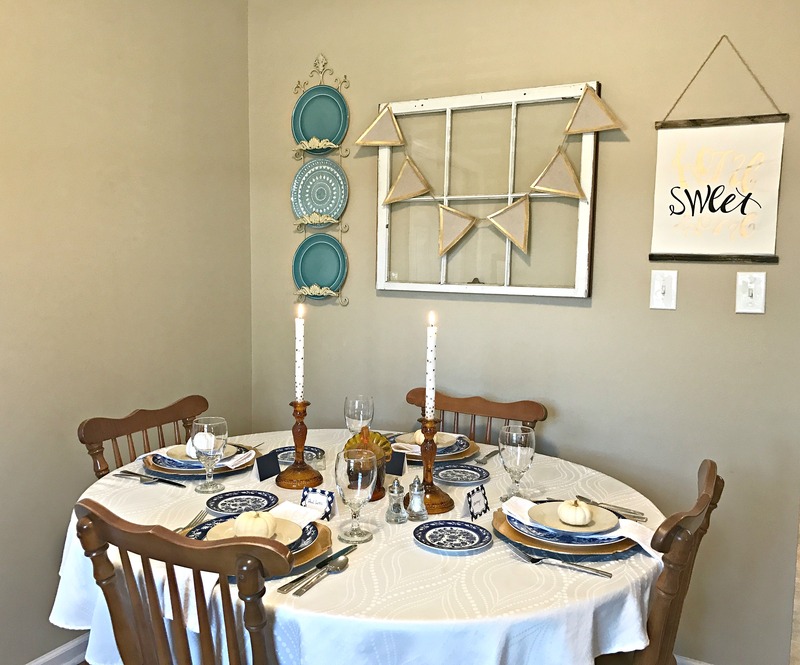 I find my cloth napkins on clearance at TJ Maxx and Target – I love using them! I love the blues and golds Whitney. Blue and white is just my favorite theme in decorating. It is so classic. The little pumpkins are perfection!! Thank you! 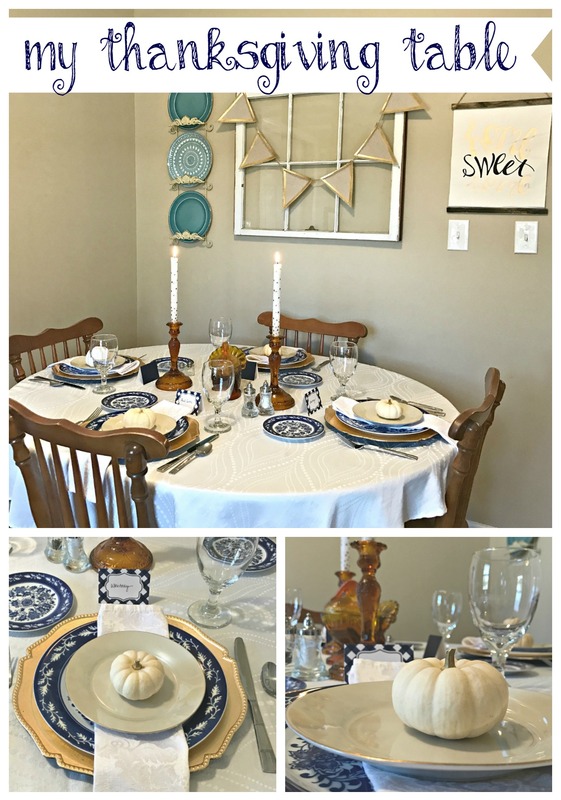 I couldn’t wait to use those blue and white dishes for fall! This is so pretty Whitney. I have always wanted to set a fancy table. I need to work on acquiring a few more things like real napkins and such. Thank you, Beth! I find my napkins on clearance at TJ Maxx and Target. I love using them!